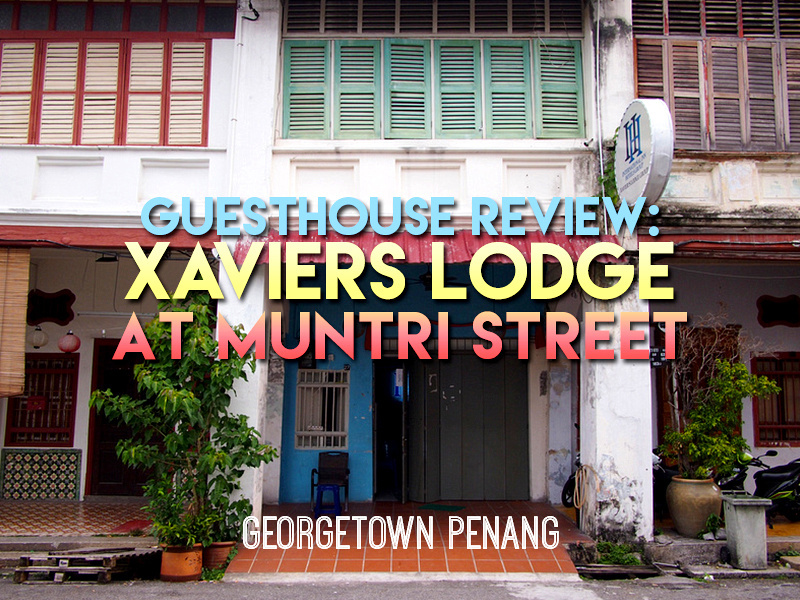 I stayed at the Xaviers Lodge @ Muntri Street in Penang. Xaviers is a backpacker guesthouse of which there are many of this type in Georgetown. I got a single room with fan for $10 USD which I booked online. This was about half the price of the listed price if you just walk in. 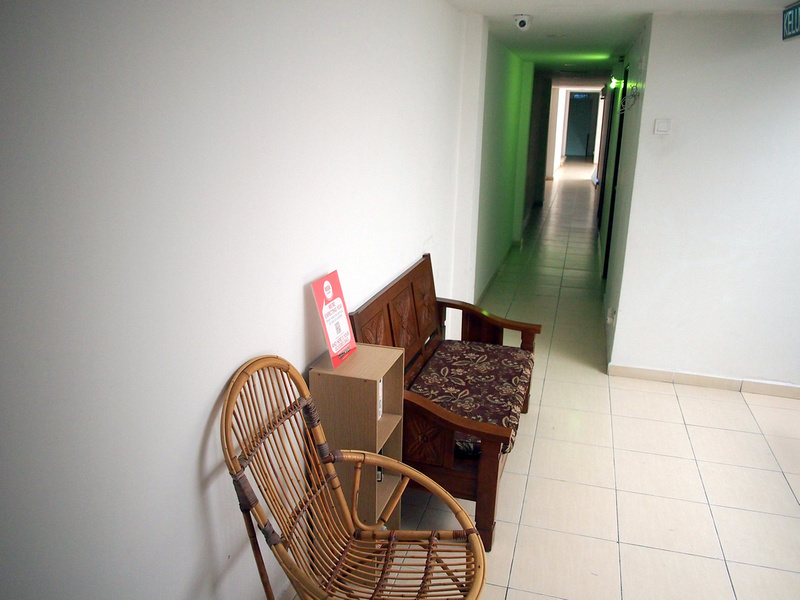 These $10 a night rooms in Penang are getting harder to find, so it is good to look on online booking sites for such deals. Muntri Street is a quiet side street that runs parallel to the main street (Chulia), and crosses the popular backpacker street of Love Lane. 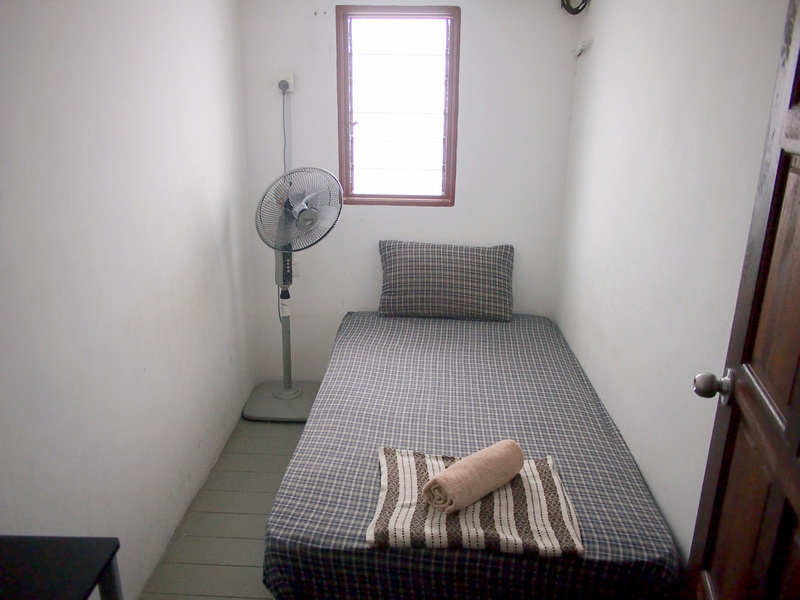 The rooms in these sort of guesthouses are basic, with a bed and fan. In this case I was at least lucky to have a window, as often these rooms are partitioned in the middle of a building with no window. 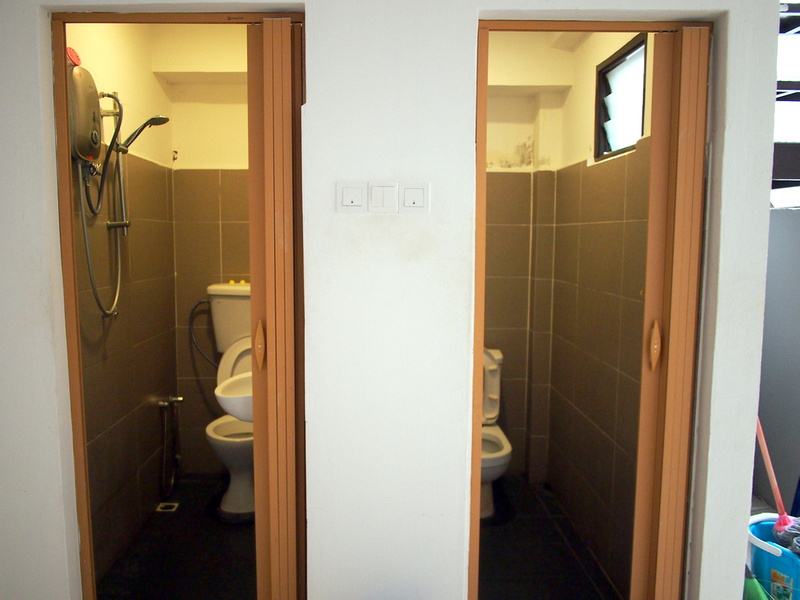 This room was a shared bathroom room, and the bathrooms were of the toilet/shower combo. 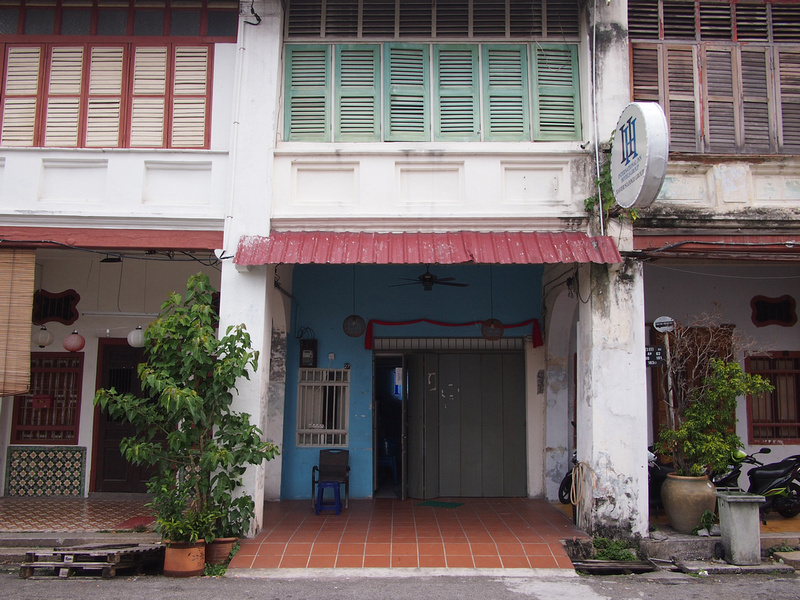 Like many guesthouses in historic Georgetown, this property is in an old shophouse which runs deep behind the entrance. The long hallways have rooms all along the length of the building. There was only one wifi box on my floor, and I was at the very end, so I couldn’t get a signal. I had to sit in the little lounge midway in the hall. I’m guessing most rooms got a signal, but my room was too far. I didn’t see if there was a breakfast service as I went straight to a nearby Indian place. Overall this was a ok place to stay if you are just looking for a cheap private room and nothing more. Not having a wifi signal in my room was inconvenient but you might have better luck in a different room. Search for more hotels in Penang. 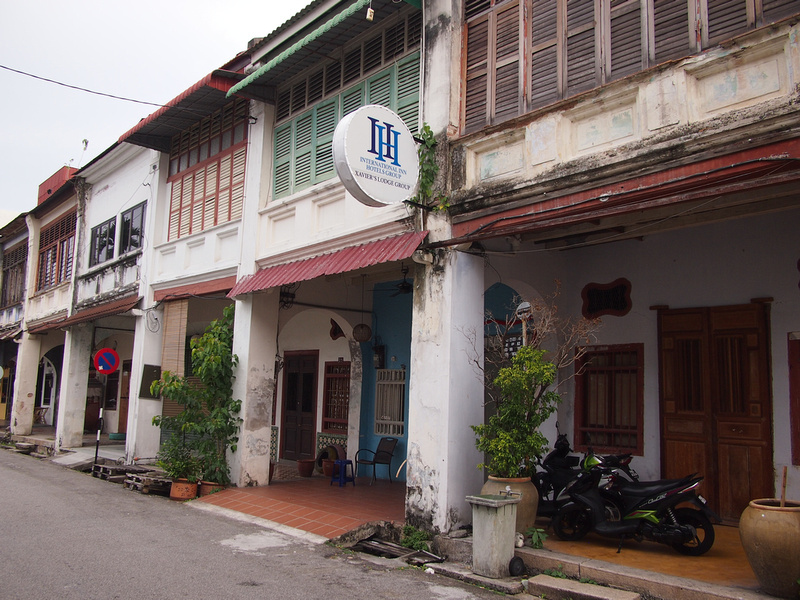 If you’re a first-time to Penang then read this guide on where to stay in Georgetown.